Speedo’s Dust Collection System uses the process of removing or collecting solid particles from the air flow to comply with stringent air pollution standards. Particulate-laden air stream passes through large filter cartridges that trap airborne particles and filter out the particulate dust before allowing air to pass through and be released into the outside air. A reverse pulse jet designed to use a short burst of compressed air injected through a common manifold over a row of filter cartridges enclosed in the housing where polluted air travels through. 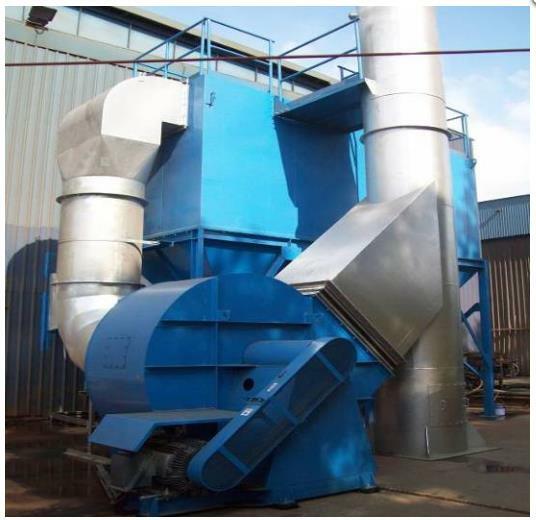 High pressure (4-6 kg/sq cm) air pulse dislodges the dust, which falls into the hopper for disposal. Cleaning cycle is initiated from remote timer (continuous cycle) or pressure switch (on demand pulsing) signal actuates diaphragm solenoid valves which permits momentary jet of high pressure air to each venturi and filter bag. Only one row of filter cartridges is cleaned at pre-selected intervals, while the system is in operation. 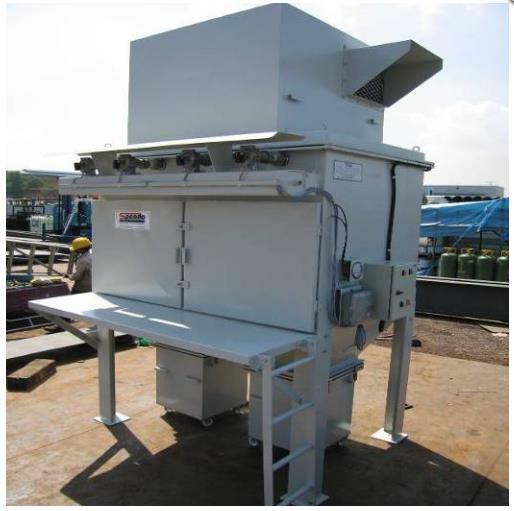 The fixed chamber dust collection system & portable dust collector system will both consist of the filter housing structure, and centrifugal fan with electrical motor. Flexible ducting hose may be attached to the portable dust collector system as an option.